Hijabsta Ballet: A winning formula for local box office success? KUALA LUMPUR, Sept 16 ― Want a slice of the multi-million cinema industry in theatre-loving Malaysia? The team behind upcoming local film Hijabsta Ballet thinks they may have hit on a winning formula for a local box office success. The film's director Syed Zulkifli Syed Masir, who is also vice-president of the Film Directors' Association of Malaysia (Fdam), speaks of the huge potential of the Malaysian market that has largely been dominated by foreign films. Citing research by Fdam and available Unesco data, he said Malaysia has the highest movie ticket sales in South-east Asia, with around 61 million box office collections in 2014 despite having a population of around 30 million then, while the 250 million-strong Indonesia had 50 million tickets sold that year. “From what we see, our films do not do well… people are watching films at cinemas but people are not watching local films. As compared to Thailand, the Philippines, Singapore, Hong Kong, they are watching the local films more than we are watching our local films,” he told Malay Mail Online in a recent interview. He claimed that Malaysia has not had a single local film in the list of top 10 box office movies when pitted against international movies, save for KL Gangster taking the ninth spot in 2011. In comparison, many local films from Asean countries such as Indonesia, Thailand, Philippines and Singapore managed to be in the top 10 rankings. With that in mind, Fdam set out to study and identify what makes a box office hit film so compelling to viewers, going through commercially successful films such as last year's Star Wars: The Force Awakens, Ip Man 3 and Dilwale. While all filmmakers subscribe to the same theories of storytelling, Syed Zulkifli said what sets the box office hit films apart is the way these storytelling concepts are understood, interpreted and executed, noting that Fdam has identified 55 key storytelling elements with most of them focused on story plots. “So we study the films that sell. From there we try to understand how they make the story, we try to get into their understanding and point of view. From there we look into others which are also performing well and we see the same pattern and we take the same pattern and apply into our film,” he said, noting that these common denominators were found in both international and local box office hit films. According to Syed Zulkifli, most of the local films that were not a commercial success often have a maximum of two of the 55 storytelling elements, while the Malaysian films that fare better would tend to have between seven to over 10 elements. But rather than lament the lacklustre performance of Malaysian films locally, Syed Zulkifli said Fdam decided to collaborate with his company Explosive Magic Sdn Bhd to produce Hijabsta Ballet as a research film to test out their findings. “The association itself does not have enough means, resources and people to carry out such difficult tasks, but since we do not see any new solutions offered to our box office problem, we conceived the idea of a research film, hence the birth of Hijabsta Ballet. “That's why we call it a research film, we try to find info that will help the industry. We find the data, we find what we thought is suitable and rather than wait for others to test the research we test it ourselves,” he said. As for Hijabsta Ballet, a select 12 out of the 55 elements were used, including the setting of an “impossible goal” for the protagonist of the film. “Number two is point of no return, you cannot step back; people understand it as a turning point… sometimes you can go forward and backward, but the understanding of box office hit films is you cannot go back ― point of no return,” he said when giving an idea of the plot techniques used. He also disclosed that Hijabsta Ballet employed the element of high stakes and difficult choices for the lead character, which he said is typically used in Korean films such as the Train to Busan which he described as suspenseful and intense. Syed Zulkifli declined to reveal all 55 elements identified pending the release of Hijabsta Ballet and an evaluation of Fdam's filmmaking formula for compelling content. “We will gauge the effectiveness by looking into two sectors, ticket collection and audience response,” he said, noting however that the film may not necessarily sell well depending on the promotion for it. If there is a spillover effect with cinema-goers and focus groups recommending Hijabsta Ballet to others, then the film would be considered successful in terms of its storytelling aspect, he said. Just how big is the Malaysian market? “Fdam did a research on the film market in Malaysia, and we found that for the film market including all releases ― Hollywood, Chinese, Tamil, Hindi, Malay ― Malaysia has the highest ticket collections in South-east Asia, beating Indonesia, beating Thailand, beating Philippines. It is the highest,” he told Malay Mail Online, citing available Unesco data. Studying the market conditions in South-east Asia was only Fdam's first research phase carried out over a period of two years for 2014-2015, with Zulkifli noting that Malaysia was not far behind from the relatively more populous Indonesia in terms of number of screens. “The number of screens in Beijing is about 1,200, data in 2015. The whole of Indonesia is about 1,120, in Shanghai alone it's 1,200. In Malaysia it's 970, so it's not far from Indonesia. “So that means our market is very big, our cinema market is very big given the number of population that we have,” he said. According to the National Film Development Corporation Malaysia's (Finas) website, there were 141 cinemas in Malaysia with 944 screens and 165,327 seats in 2015. 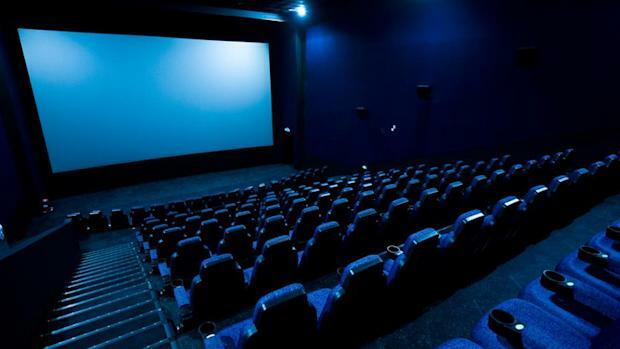 The number of ticket sales for all movies screened in Malaysia has been steadily going up in the past 10 years, with what was 27.69 million admissions in 2006 now 68.11 million in 2015, according to statistics on the Finas website. This translates into total value of ticket sales almost quadrupling from RM233.51 million in 2006 to RM869.10 million of total gross takings for both local and international films in 2015, the data showed. But local films account for only a small fraction of the gross revenue from all the films screened in Malaysian cinemas, with 82 films under Finas’s compulsory screening scheme taking in RM52.99 million in 2015. As of this August 23, however, 31 local films screened this year have already taken in RM59.29 million. According to the Department of Statistics Malaysia's website as of writing, the current Malaysian population is 31,759,481. Fdam initially wanted to do five stages of research to find the winning formula for filmmaking, but whether or not the association will continue doing it will depend on the next office-bearers of Fdam to be elected at year end, Syed Zulkifli said. The plan is for the third stage of research to be on advertising and promotions for films, with Fdam currently in the second stage of study which it started in 2014 and which it built on from Explosive Magic's preliminary research since 2009.